This MōVI Pro Handheld Bundle RED Kit with Battery from B&H has been assembled to provide you with a MōVI handheld stabilizer kit with a battery, as well as the necessary cables to power and start and stop recording on your RED EPIC, WEAPON, and SCARLET. The FREEFLY Battery for MōVI Pro Stabilizer System is specifically designed to power the stabilizer, a FIZ control system, your camera, and accessories. This item only includes the battery, featuring a built-in fuel gauge with test button which allows you to easily see roughly how much power is left just by touching the test button and glancing at the window. The battery integrates overcurrent, overdischarge, and overcharging protection. 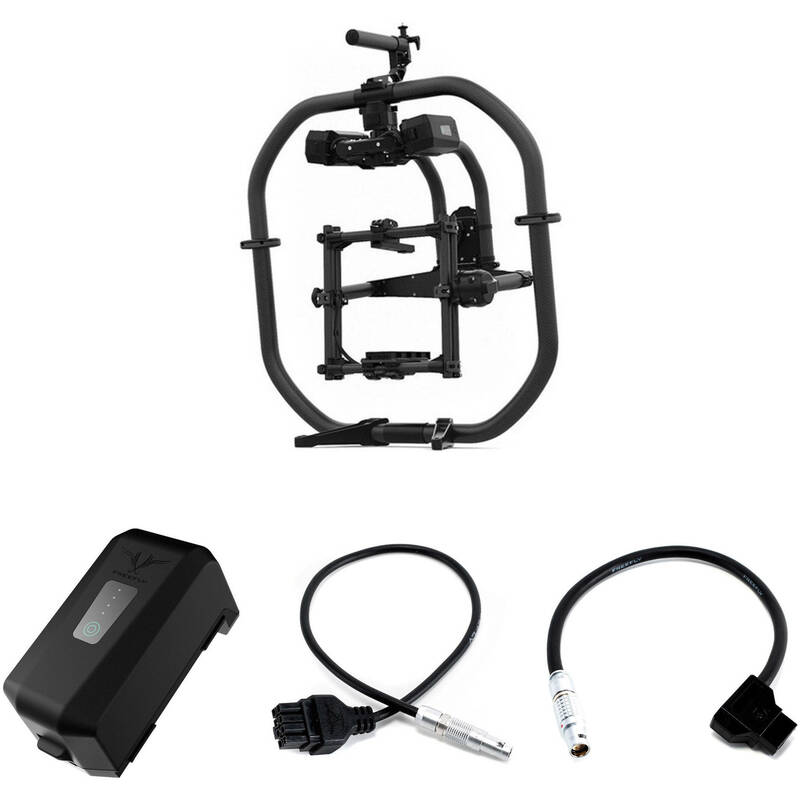 Combined with the battery's high-current connector, these features help protect your battery and MōVI Pro from damage during use or while charging. This FREEFLY MōVI Pro / XL RED RCP Serial Cable provides you access to RED's Redlink Command Protocol, allowing you to control functions such as Start/Stop, ISO setting, frame rate, color temp, as well as focus and aperture on Canon EF Lenses. Simply connect one end of this cable to the "CTRL" port on your RED camera, and the other end to your MōVI Pro. Using either the MōVI or MIMIC controller gives you control from up to 600' away. The FREEFLY D-Tap Power Cable for RED EPIC is a lightweight flexible cable that can handle the rigors of the production day. This 9.8" long cable enables powering your RED EPIC, WEAPON, or SCARLET camera via a D-Tap power connection. Box Dimensions (LxWxH) 6.45 x 3.7 x 3.1"
Box Dimensions (LxWxH) 4.3 x 3.8 x 0.3"